A Dream… - Sarah Scarbrough, Ph.D. When someone is released from jail or prison, society is not waiting for the person with open arms. Unfortunately, it’s the exact opposite… it seems as if every obstacle is set up to see someone fail. Issues as small as having $15 to get an ID (which is needed to get a job, food stamps, housing), food, or clothes – up to housing, jobs, transportation, cell phone, or child support. These are all hurdles faced day one and then in the following months – sometimes years! In my full-time position as Program Director in a fairly large jail in a decent size City, this is just a very small fraction of what I see on a daily basis. Even the most motivated person with a very strong desire to do different has an extremely difficult time pursuing that path upon release. What I found is while there are many services that aim to address these issues, the offender does not know about many of them, they don’t have confidence in them because of the unknown, or they don’t know how to access the service. Then, there are a lot of gaps – gaps either because there are not enough services, services cost money, services are not acceptable/corrupt, or there just isn’t a service that addresses a certain area. After seeing the [quick] downfall of several upon release, I knew I had to do something. It was heartbreaking seeing the most motivated person who excelled very well in programming at the jail that had to go to the homeless shelter because they had no money to afford housing and the “free beds” in the city were gone, therefore the shelter was the only option. Or the person who didn’t have $15 to get a state ID from DMV and therefore couldn’t get a job or food stamps. Or the man who was not over 55 years old, had no disability, and had no children living with him, therefore did not qualify for a free phone through social services, thus had to use my cell phone number when applying for jobs. I could go on and on, but will stop there – I think you get the picture. I couldn’t sit back and watch this, nor could I always depend on my friends and me to fund it and try to handle the situations. Enter: REAL Life! 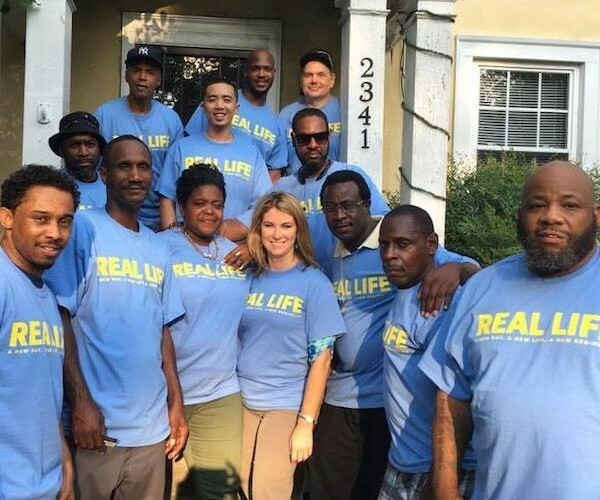 I wanted to have the REAL Program (our intense behavior modification program in the jail I work) re-entry version in the community… so some of the guys in the program came up with the name “REAL Life.” I wanted to be able to connect the REAL Program alumni with existing community resources that they didn’t know about or didn’t know how to access (i.e. housing, mental health services, counseling) and fill the gaps where there are gaps (housing, educational guidance, budgeting, cell phone, bus passes, job placement)! We put together a small group of folks who were like-minded and had a heart to serve this population as the board. Tim Green, the Chairman – I met Tim when he was an inmate in the City Jail over 8 years ago and now he is the manager of a large furniture store. Vice Chair is Wayne Huggins who really became passionate about this subject after being a budget coach and mentor for one of the guys who was released and faced many hurdles but persevered through it. 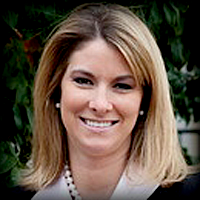 Chelsea Wlodarek who currently does marketing, but became very passionate about this when she was a deputy in the jail. And, Kim Thies, who works for a pharmaceutical company, but has a personal interest and passion in working with those during their re-entry period and that battle addiction. Then, through the generous work from Williams Mullen, we were able to get the 501(c)(3) paperwork filed and became an official non-profit as determined by the IRS! So where are we now – shew, it’s been a lot of work and many hours, but worth it and I could not be more excited! No staff right now, so the board and I are running it (but staff is in the future for sure)! We have officially partnered with another non-profit called Into the Neighborhood, who serves in and around section 8 housing areas of Richmond, Virginia to spread the love of God through providing various activities and events. They also provide several services in the jail, primarily which focus on job development and biblical budgeting. What does this partnership mean? We are sharing space at All Souls Presbyterian Church in the City – we have a big meeting space, desks, computer lab, and a CLOTHES CLOSET! How amazing – we have a safe place for people to hang out, computers so they can apply for jobs, and a clothes closet because many exiting jail do not have clothes (or not appropriate job finding clothes)! We have alumni meetings every other week, where those who were in the program in the jail attend as a way to remain connected in our network and to be surrounded by like-minded people, while also learning about things that could contribute to their success – DMV presented one evening on how to get a restricted license or license, we discussed why they should get a bank account and how to do that (most never have had one), recovery topics, dealing with children who are beginning to get in trouble, and more! REAL Life has also been able to providing rental assistance, bus tickets and monthly bus passes, cell phone, housing scholarship, dinners, and more!!!! Currently, we have connection with over 150 REAL Program alumni and regularly serve about 75 of them! Pray – pray for God’s guidance for REAL Life, as well as the much-needed growth so we can continue to serve. Donate – obviously many services are rendered through financial transactions. Money is NEVER given directly to the alumni, but to the service (i.e. we buy the bus tickets and give them the tickets, or pay the landlord directly). Currently we accept checks, which should be made payable to REAL Life. Donations are tax-deductable. Clothes – as we are starting a clothes closet, donations are much appreciated. Male and female, all sizes, and all styles. Shoes too! We are also looking for clothes racks and hangers. We could also use towels and sheets. Gift cards – we often give gift cards for groceries, hygiene products, and other necessities people need upon release. Mentors – we like to pair alumni with mentors to help support them and also help as a budget coach (develop budget, review with them, etc). Attend alumni meeting – we welcome interested people to attend alumni meetings to support the men and women in their walk and/or to learn more and meet the alumni. Just ask me for the schedule! Other ideas – you may have another idea that I didn’t mention – feel free to bring it up and we will see where it goes! We look forward to see what the future of REAL Life holds!